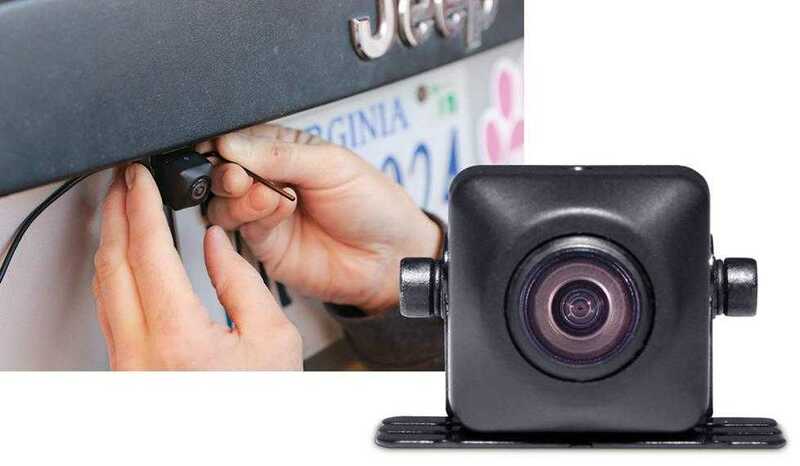 Find the ideal back-up camera for you at Jackie Cooper Tint & Electronics! Rear-view camera technology is a fantastic safety feature in any car, so much so that in 2018 all new cars must be fitted with these units. From hooking up your trailer, reversing into a tight parking spot or just making sure your kid is not behind your car when you reverse, these units will make the job so easy. With a backup camera system in your car, you'll gain a well-lit, wide-angle view of what’s behind you – a view that a rear-view mirror just can't deliver. 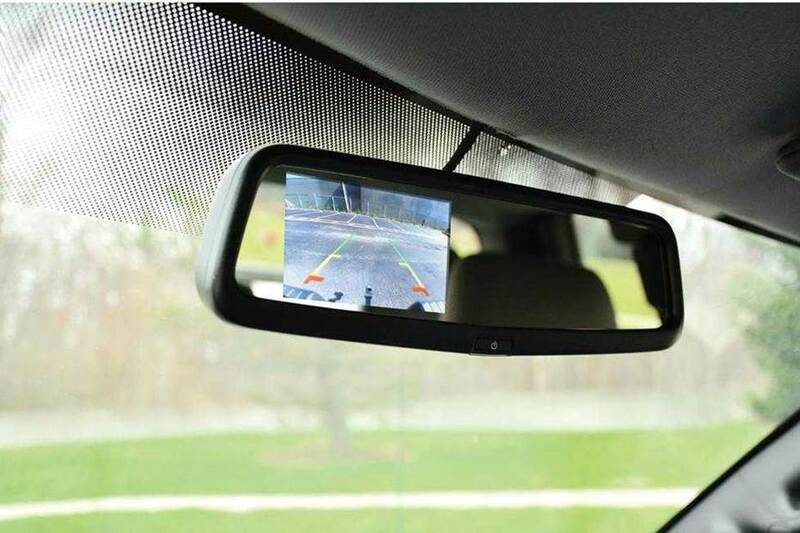 Whether you're safety-conscious, want to keep an eye on something you're towing, or just have a bad habit of crunching bumpers, installing a rear-view camera system in your car, truck, or RV is a no-brainer. A professionally installed back-up camera from Jackie Cooper Tint & Electronics will keep blind spots visible while backing up, help protect your family, and protect the investment you have made in your vehicle. 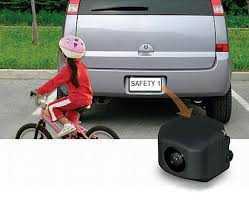 We offer a variety of back-up camera options so stop by, or give us a call at (405) 848-8656 today! Happy with your factory touchscreen receiver? We can help find a vehicle-specific solution for you. Toyota! Jeep! Dodge! Volkswagen, and more, our experts know the solutions for your vehicle and your needs. We can provide harnesses that match select factory installed entertainment systems. 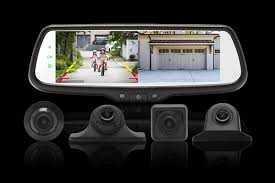 These backup cameras are often specifically designed to blend in with the exterior of your vehicle. In the market for a new touchscreen receiver? Add a backup cam! There's no better time to install a rear-view camera than when you're already installing a new stereo in your dash. We carry a wide variety of DVD and GPS receivers that are equipped with touch screen monitors and rear-view video inputs. When you shift your vehicle into reverse, you'll see a helpful view on your new stereo's display. No room in your dash for a touchscreen? You still have options. If your dash doesn't accommodate a radio with a video screen or if you don't like the idea of altering your factory dash, replacement rearview mirrors seamlessly integrate with your car's interior while giving you a monitor where you're already accustomed to looking. Some cameras fit into a matching license plate frame while others take the more universal approach with a strap mount. 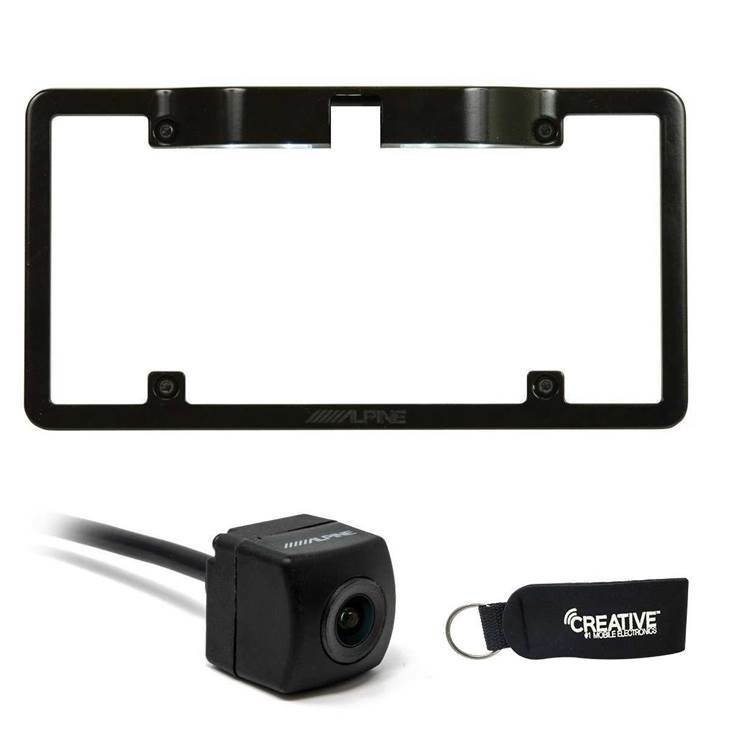 This strap-mounted rear-view cam fastens over your license plate using the existing screws. This style takes the most universal approach, providing an adjustable bracket that lets you mount your camera wherever you see fit. Like an air bag to a seat belt, a rear-view camera system isn't a replacement for your vehicle's mirrors, it's a complement — a powerful tool for driving safely and parallel parking like a pro! Let the experts at Jackie Cooper Tint & Electronics help you pick out the best back up camera for your vehicle!